Planning a tropical Asian getaway? Undoubtedly Malaysia must have crossed your mind while holiday planning. A top contender in most favoured Asian holiday destinations, this charming country enriched in a splendid combination of experiences comprises of dramatic cities teeming with fantastic attractions, landscapes shrouded in verdant rainforests, pristine highlands, gorgeous beaches and of course a heady fusion of multiethnic flavors and aromas to indulge in. This Asian destination‘s charisma, composer, zeal, and thrill offers moments that suit one and all. Be it a family holiday, a romantic getaway or adventure expeditions, Malaysia certainly knows how to make its guests happy. 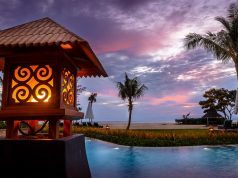 But before you get busy chalking out what to do, see and eat in Malaysia, there is something far more important to focus on to make sure your Malaysia journey starts out smoothly. One of the most significant essentials needed for a Malaysia visit is a Malaysia visa. Anyone traveling to Malaysia requires a valid Malaysia Tourist visa to enter into Malaysia except citizens of certain countries. Let’s dig a little deeper to understand what you need to know about Malaysia travel visa. – Albania, Algeria, Argentina, Australia, Bahrain, Bosnia and Herzegovina, Brazil, Canada, Cuba, Egypt, Iceland, Japan, Jordan, Kuwait, Kyrgyzstan, Lebanon, Liechtenstein, Maldives, Morocco, New Zealand, Norway, Oman, Peru, Qatar, San Marino, Saudi Arabia, South Africa, South Korea, Sudan, Switzerland, Tunisia, Turkey, Turkmenistan, United Arab Emirates, United States, Uruguay, Yemen, Syria. – Andorra, Antigua and Barbuda, Armenia, Azerbaijan, Bahamas, Barbados, Belarus, Belize, Benin, Bolivia, Botswana, Brunei, Cambodia, Cape Verde, Chad, Chile, Comoros, Costa Rica, Dominica, Dominican Republic, Ecuador, El Salvador, Fiji, Gabon, Gambia, Georgia, Grenada, Guatemala, Guinea, Guyana, Haiti, Honduras, Hong Kong, Indonesia, Iraq, Jamaica, Kazakhstan, Kenya, Kiribati, Laos, Lesotho, Macau, Macedonia, Madagascar, Malawi, Marshall Islands, Mauritania, Mauritius, Mexico, Moldova, Monaco, Mongolia, Namibia, Nauru, Nicaragua, Palau, Palestine, Panama, Papua New Guinea, Paraguay, Philippines, Russia, Saint Kitts and Nevis, Saint Lucia, Saint Vincent and the Grenadines, Samoa, Sao Tome and Príncipe, Senegal, Seychelles, Singapore, Solomon Islands, South Sudan, Suriname, Swaziland, Taiwan, Tajikistan, Tanzania, Thailand, Timor-Leste, Togo, Tonga, Trinidad and Tobago, Tuvalu, Uganda, Ukraine, Uzbekistan, Vanuatu, Vatican City, Venezuela, Vietnam, Zambia, Zimbabwe. Citizens of Iran, Libya, Sierra Leone and Somalia and holders of Macao Special Administrative Region Travel Permits can enter Malaysia without a visa for 14 days. Citizens of nations exempted from these lists will need to acquire Malaysia visa before entering the country. The application for the same with required documents for visa approval should be submitted at least 1 month prior to the date of travel. A visa without reference is required for tourism purposes. 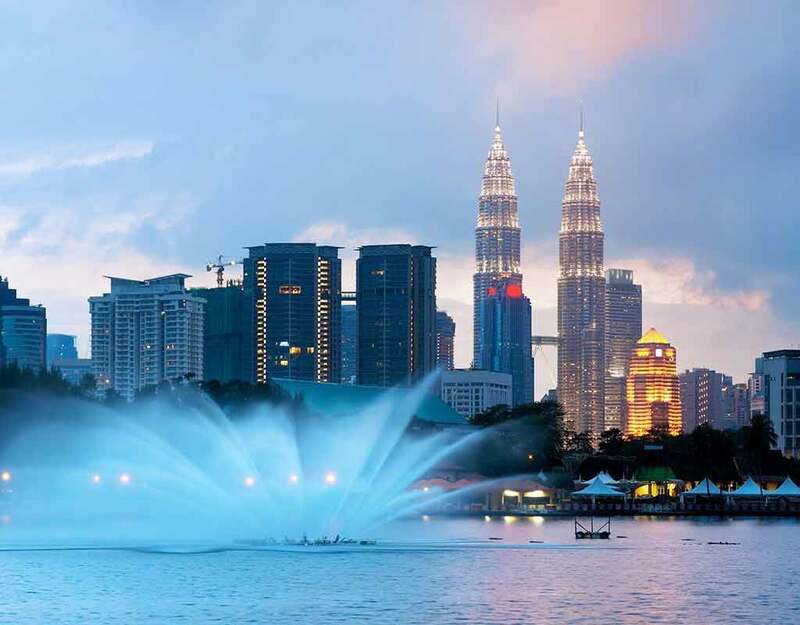 While applying for Malaysia tourist visa prior to your tour departure, you can consider any one of the following options which suit best for your Malaysia travel plans. Leisure tourists to Malaysia mostly require a single entry travel visa. Tourists who require a visa for one time entry for social or tourism purposes can apply for a Single entry visa. The validity of the visa is for the duration of 3 months from the date of issuance. The visa expires the day the visa holder exit Malaysia even if the validity of the visa has not lapsed. Multiple Entry Visa is mainly used for business and government-related tours. However, Indian and Chinese citizens can acquire this type of visa for social purposes. Any traveler opting for Malaysian multiple entry visa can stay in the country for up to 30 days. They should provide proof of sufficient funds for the duration of their stay as well as confirmed return ticket to acquire multiple entry visa. The visa is valid for one year but each visit during that year must be lesser than 30 days. Those travelling on group tours cannot opt for this type of visa. Citizens of India, Bhutan, Pakistan, Nepal, China, Myanmar, Bangladesh, Sri Lanka, Serbia and Montenegro can opt for eVISA if applying, for Malaysia visa from their country of citizenship. This is an electronically generated single entry visa into Malaysia which is valid for travel of no more than 30 consecutive days. An extension is not allowed after the 30 days have lapsed. The total validity of eVISA is for 3 months. A visitor needs to apply eVISA online from his home country and get a printout which needs to be presented at Malaysian checkpoints on arrival along with proof of sufficient funds to cover the intended stay in Malaysia, details of travel plans and a confirmed return ticket. If the applicant resides in a country which is different from the country of citizenship, they will only be able to avail eVISA if their country of residence is included in the list of countries approved for eVISA service. The eVISA application usually takes 48 hours to process after successfully submitting the application. This duration of visa processing excludes weekends and public holidays. Indian citizens are eligible for Electronic Travel Registration and Information (eNTRI). This visa service lets Indian nationals acquire entry into Malaysia under the Visa Waiver Programme. The eNTRI Note should be presented at the immigration checkpoints upon arrival which lets Indian citizens visit Malaysia for tourism purpose for 15 days only on a single entry permit. Its total duration of validity is 3 months from the date of issuance. The advantage of eNTRI is that applicants can apply 48 hours before departure to Malaysia. eNTRI is valid only through selected entry checkpoints in Malaysia and travellers should enter via direct flight into Malaysia or through Singapore, Brunei or Thailand air or land transport modes. The eNTRI can be used by Indian citizens residing anywhere in the world except in Singapore. The purpose of visit must be clearly indicated. The duration of visit must not surpass beyond the specified visa duration. All travel documents must be proper and valid. Any miscreant or false information may lead to deportation. Proof of sufficient funds for the entire duration of stay in Malaysia should be provided. 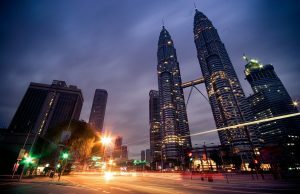 The visitor of countries who need to acquire a visa prior to arrival into Malaysia should apply in advance and must possess a valid visa on arrival in Malaysia. A confirmed return flight ticket is required to indicate that the visitor will exit Malaysia once his or her purpose of the visit is complete. Travellers to Malaysia should have ethical nature. They should not be in a position to cause health hazards or legal violations of any kind. The tourist should not pose a threat or nuisance to the Malaysian residents. Passport must be valid for at least 9 months prior to arrival in Malaysia and should consist enough blank pages for visa stamping. Malaysia visa application form duly filled and signed without any errors and omissions. Two passport-size front view photographs with white background in matte finish taken not more than 3 months prior to visa application. The specifications should be height 45 mm x width 35 mm. Face size should cover 70% of the photo and should be clearly visible with neck, ears, & shoulders. Photographs with head accessories, hats, spectacles will not be accepted. The photo should be without any markings, borders or damage. Last 6 month’s bank statements as proof of financial safety during the duration of Malaysia trip. Confirmed air tickets details as proof of exit from the country. A cover letter stating the purpose of travel. If the first entry port is Singapore and then Malaysia, a copy of valid Singapore visa is a requisite. Even if all the formalities are properly carried out, all the requirements are fully met and the traveler has acquired a valid Malaysia visa, still, there is a possibility that he or she might be denied entry into Malaysia. The reason being that the sole right to grant entry into Malaysian borders lies with the immigration officers at Malaysian checkpoints. Possession of a valid Malaysian travel visa does not grant its holder a guaranteed entry into Malaysia. 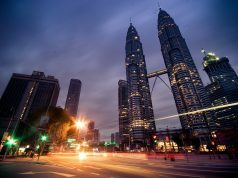 An entry into the country can be denied if the immigration department of Malaysia discovers any amended information or discrepancy in the visa and travel documents. A person can also be denied entry into Malaysia if there arise any reasons that may cause a threat to Malaysian masses.